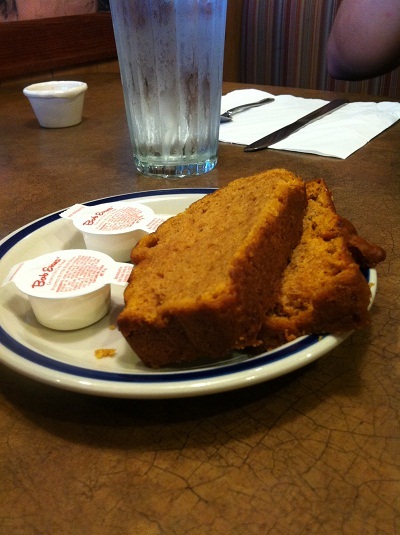 Bob Evan’s pumpkin bread. Jimmy and I have spent the past 3 or 4 Friday night’s eating dinner at Bob Evans. I pretty much go just for the pumpkin bread. Just kidding, the food there is pretty good. But the pumpkin bread is really good. Eat n Park sticky bun + dinner roll. This comes with every entree. YES. 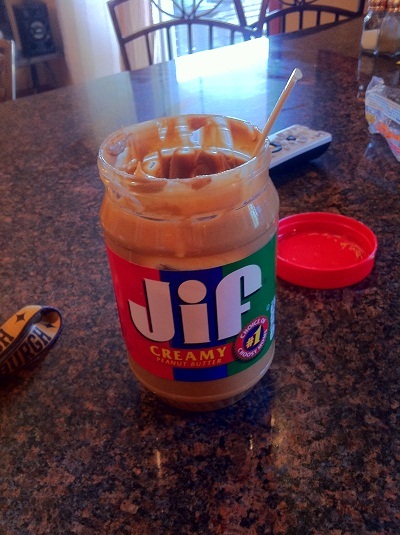 Peanut butter + spoon = my favorite way to consume peanut butter. 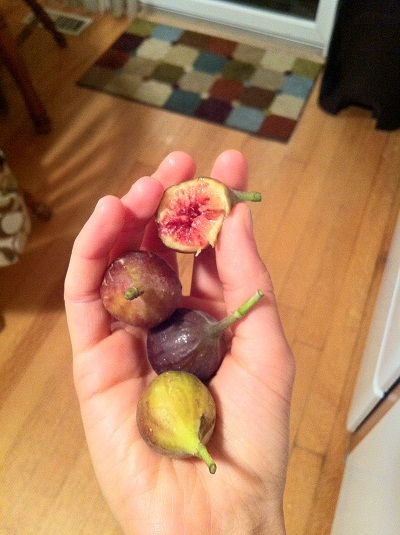 Fresh figs from my grandma. I never had a fig until that moment. They were good! Marshmallow treats. In the car. Random. Homemade peanut butter. I took this as I was stirring the honey in. 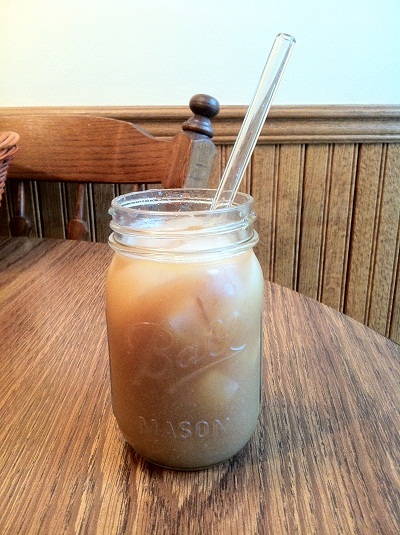 Iced pumpkin coffee in a mason jar. I didn’t know what is so cool about mason jars because drinking this made my hand cold! 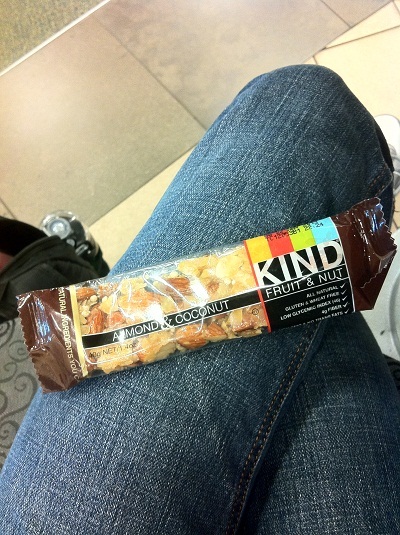 A KIND bar, consumed whilst studying. I got an edible arrangement from Jimmy today for our 4 year anniversary <3. Jimmy did this for our 2 year anniversary and this past V-Day. He knows me so well ;). If you’re reading this Jimmy, thank you & I love you! That’s all I have for recent eats. Today was a pretty warm day for Pittsburgh–I think the high was 75* and I loved it! It’s going to cool down this weekend, with temperatures dropping to the 40’s and 50’s, so I better stock up on hot coffee!! I’m off to finish some homework and then I’m going to text Jimmy to brainstorm what we’re going to do to celebrate four years together. Any suggestions?! Girl, that is some serious nut butter! I love some nut butter too but my collection isn’t as large as yours right now. Actually I am eating mine up before I buy more because my collection got TOO large awhile back. 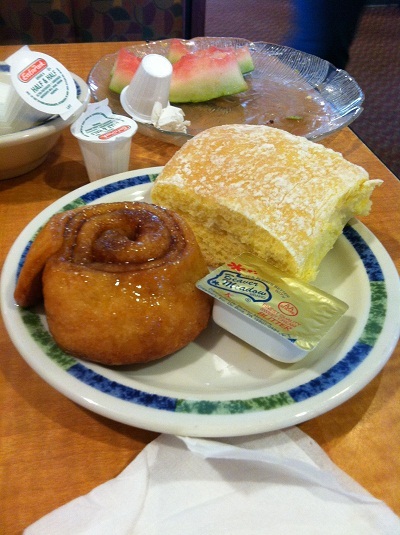 Eat N Park seems like a cool place to give you bread and a cinnamon roll with your meal like that, but we don’t have it down south. What I wouldn’t give for 75 degrees. It was 80 and humid when I ran Tuesday morning. at 6 AM. Craziness. Felt like July weather for us. edible arrangement!!! so lucky. I love making squash fries, my staple now a days. So easy and delicious. I love so many things about this post. So fun! 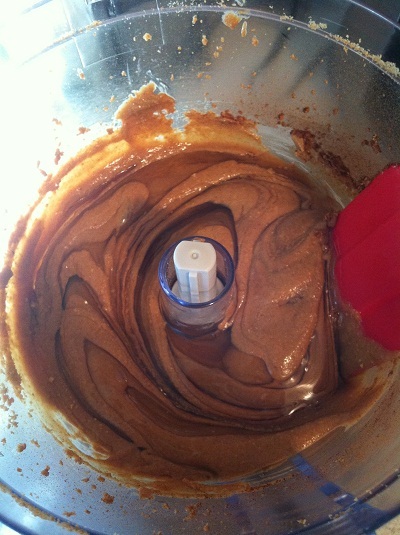 I love how you have a caseload of nut butters, and then you made your own–awesome! I used to be a veggie too, but you’d never know it now because I am a meat fiend. holy nut butters !!!!!! lol. 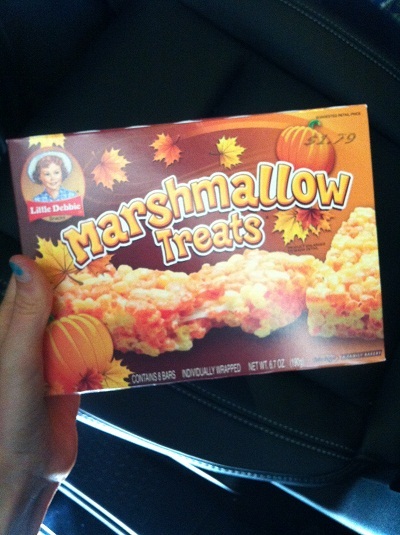 i love little debbies. i always look at them in the store, but i haven’t bought them in at least a year. lol. the valentine ones are my fave. we even had them at our wedding. we bought them in feb and froze them for our june wedding. lol. HAHA. Nut butters. You are awesome. 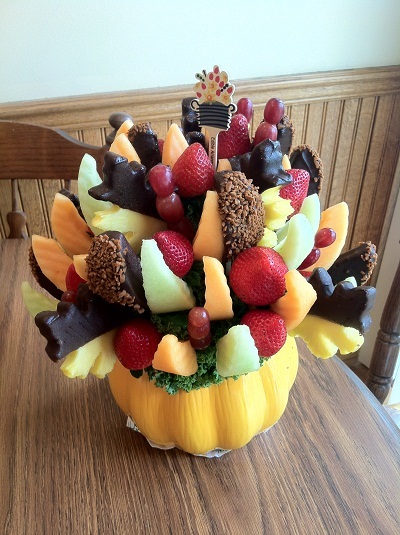 I’ve always wanted an edible arrangement. 4 years. You guys are too cute! YUM!!!! Pumpkin bread and sweet potato fries and etc. All looks so good. I have been loving grapes lately too! No fuss, no muss. Can I ask how you make your roast beef? It looks perfect. Aww happy anniversary! He is a sweet boy, that one! Whoa!!! That is a LOT of nut butters!! Have you tried PB 2?